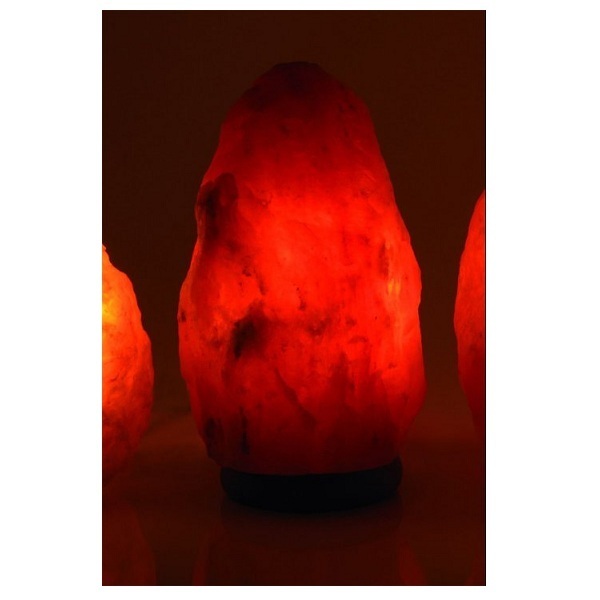 This lamp is a salt crystal Gem, a sea salt from ancient Mesozoic era, from the Himalayas. It has no wood foundation, stone rests on three plastic studs. It comes with a standard wire CE and 15-watt bulb. If you want more shine we recommend a 25 watt bulb. In addition to being a great gift idea or decoration it also soothes with its soft light. - Reduces problems related to asthma, allergies and other breathing ailments. - To remove dust, wipe the lamp with a damp cloth. After cleaning, turn the bulb on for a few hours to dry it with heat. - The salt absorbs moisture, once turned off, make sure it is placed in a dry place and turn it if it seems too moist. - For the best results, it is strongly recommended to connect the lamp every day. - Regarding electrical lamps, it is strongly recommended that you to use them for long periods of time.